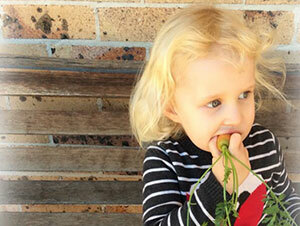 Anyone looking after children in Sydney Local Health District can call CHIL. This includes parents and carers, health professionals, service providers and child development experts. We will need consent from the child’s parent or carer if the person making contact is not the legal guardian of the child. To find out more information on how to access the right service for you and your family, please call our friendly health professionals any time between 8.30am – 4pm Monday to Friday. 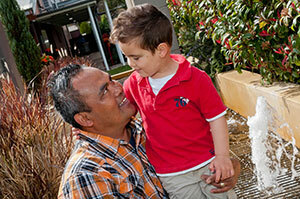 If you require an interpreter, please call the Sydney Health Care Interpreter Service on 9515 0030. Sydney Local Health District looks after all public hospitals and healthcare facilities in central Sydney metropolitan area from Balmain to Canterbury. What is Healthy Families Healthy Children? We all try to do the best that we can for our families and our children, and Healthy Families Healthy Children supports parents in doing just that. 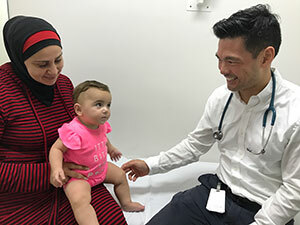 Healthy Families Healthy Children is a program of services and resources developed by Sydney Local Health District to support the best development of children and enable families to lead healthy and fulfilling lives. 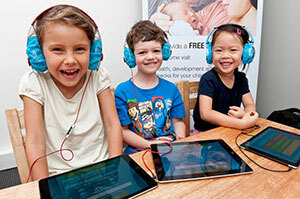 The Healthy Families Healthy Children Website is an online service for you and your family. You’ll find information, stories and tips from some of our experts and families in our community. Child and Family Health Nurses provide developmental and wellbeing checks for children aged 0 to 5 years as well as support, education and information on all aspects of parenting. Child Nutrition Services provide clinics, and telephone consultations for families with children aged 0 to 5 years with feeding concerns that may impact on health and development. This includes, children who are underweight, overweight, obese or are not thriving in general. Community Paediatric Services are provided by doctors and include: assessments for developmental and behavioural difficulties and programs that aim to improve and protect the health and development of children and their families. Hearing services (audiometry) provide early identification of ear disease and hearing impairment as well as referrals to other health professionals and educators. Occupational Therapy services provide assessment and treatment for children who are having difficulty participating in everyday activities such as play, self-care, handwriting and other fine motor activities. 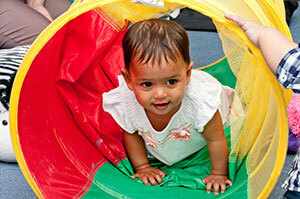 Physiotherapy services provide assessment and treatment for babies and children who are having difficulty learning to sit, crawl, walk, reaching for toys and with their balance and coordination. 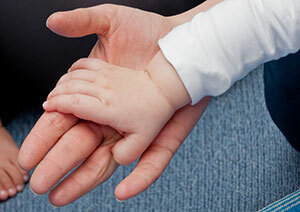 Early Childhood Social Workers provide assessment and treatment to assist in adjustment to parenting, post-natal emotional distress, domestic violence, managing child developmental stages and family and relationship issues. 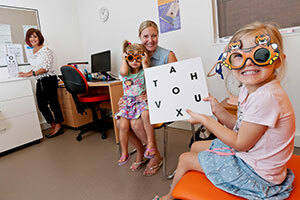 Speech Pathology services provide assessment and treatment for children aged 0 to 5 years who are having difficulty learning to make early sounds, speak clearly and be understood, expressing ideas with words and children who are stuttering or have mild feeding difficulties. Vision services (orthoptics) offer assessment to detect, diagnose and manage vision disorders. Counselling Services including psychologists and social workers provide individual and group treatment for children and families experiencing difficulty with emotions, social functioning or behaviour. Sydney Local Health District would like to acknowledge the traditional owners of the land on which our health services operate, the people of the Eora Nation. We'd like to pay our respects to our elders past and present and all Aboriginal people in Sydney Local Health District.